Dog Training Clickers are a universal tool in training, not only with your dog but with any of our animal friends. 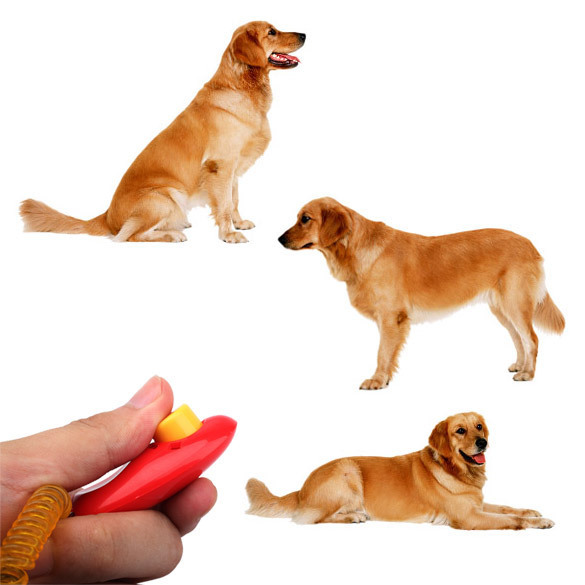 Clickers are often used in conjunction with the positive reinforcement training method, capturing and conditioning. 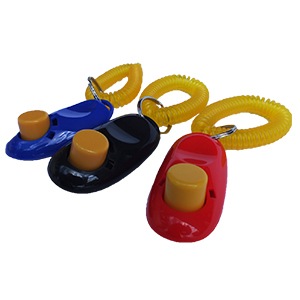 Clickers are an essential item for every dog trainer and owner. 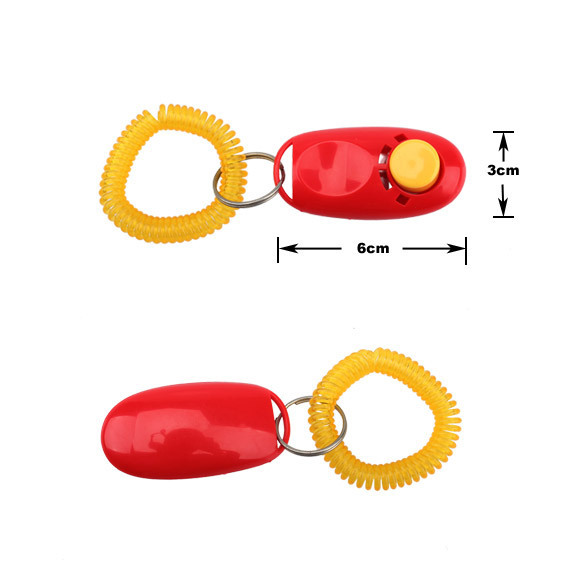 Furthermore, these clickers have been designed with a wrist strap, this allows quick access and use of the clicker while providing freedom with both hands when the clicker is not in use. Moreover, never worry about dropping or going through your pockets for the clicker again. Furthermore, small enough to be hidden in your palm. Therefore, great for training Obedience/HTM/Agility. Additionally, it can be also used under your foot. * Please note that the colours of the straps do vary and are not all the same.